Floating islands. 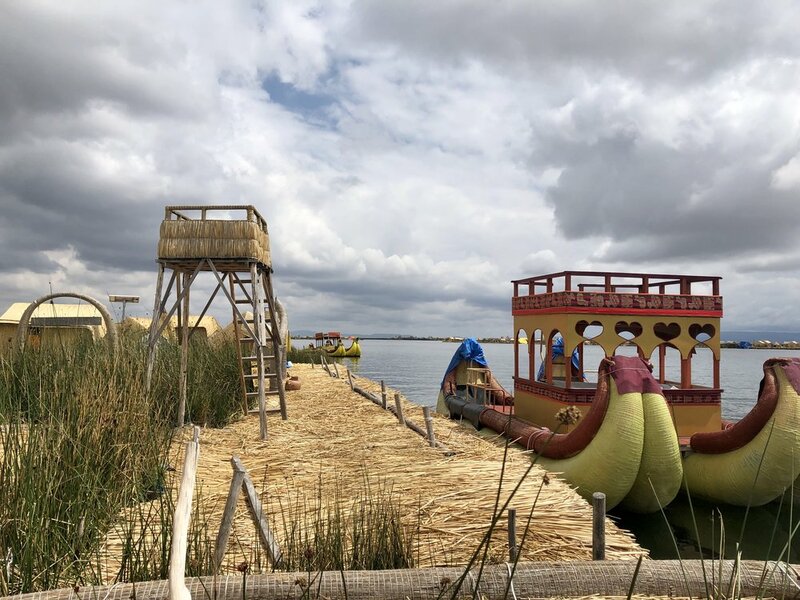 The floating islands of Lake Titicaca are called the uros islands and they are made out of reeds. In 2500 BC the Uros people escaped the Incas and to do this they created there own islands. Up to five families live on each island, and if they have an argument they may cut off their part of the island and drift away. when they came back they would cut off their part of the island and drift away. They also have boats made out of reed. So, that’s why we came here. To seee these islands and meet the uros people. It was fun playing on the incredibly spongy islands . Me and Hugo kept playing tag because it was really weird running on a sponge.